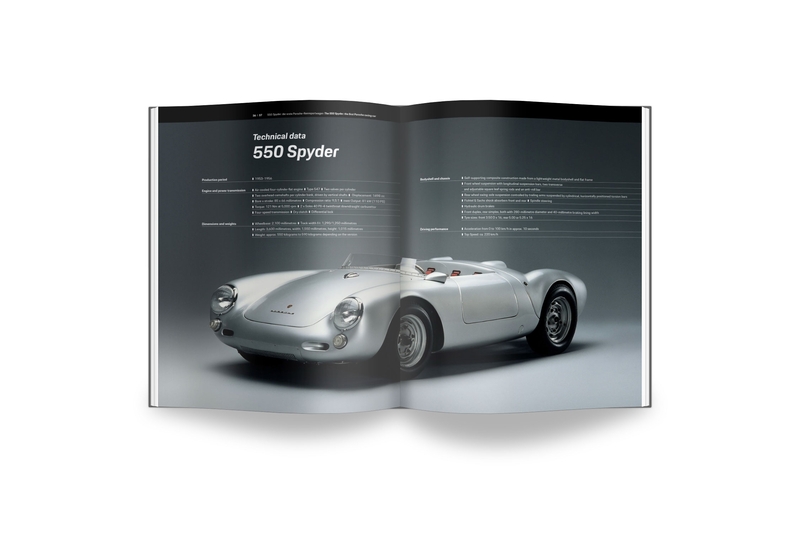 The transparent functional model as a kit was developed according to original drawings together with the Porsche Museum. 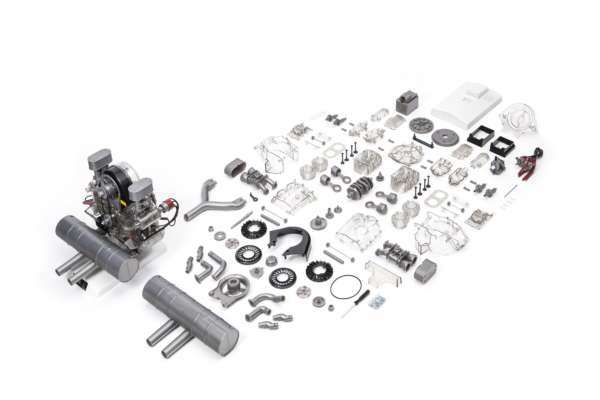 The more than 300 plastic parts, which can sometimes be moved, are put together and screwed together within six hours to form your own Carrera racing engine. No gluing is necessary – a pleasant modeling experience is guaranteed! The vertical shafts, pistons and valves move in real-life interaction. Even the sparks in the cylinders are simulated by LEDs. 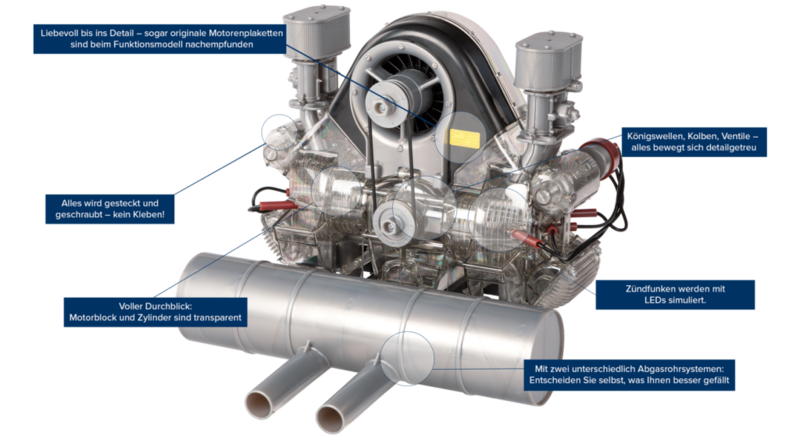 The transparent housing parts make the mechanics of the engine and the engine structure visible and comprehensible from the outside. 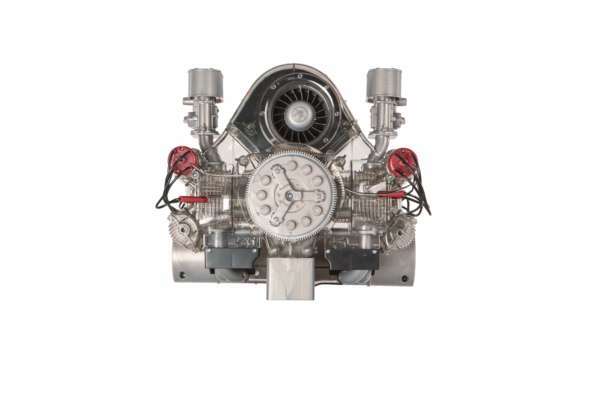 The integrated sound module with original Porsche engine sound is another highlight of this detailed replica of the technical masterpiece from Zuffenhausen. The 547 Carrera racing engine was the first Porsche engine specially developed for racing. The development team under the direction of Ernst Fuhrmann constructed this revolutionary unit with a special focus on a compact design with high robustness. The initially 110 hp and 1.5-liter displacement of the boxer engine drove since 1953 various Porsche racing cars to numerous legendary successes. The Carrera racing engine kit brings the king shaft motor type 547 as a transparent functional model on a scale of about 1: 3 on your desk. 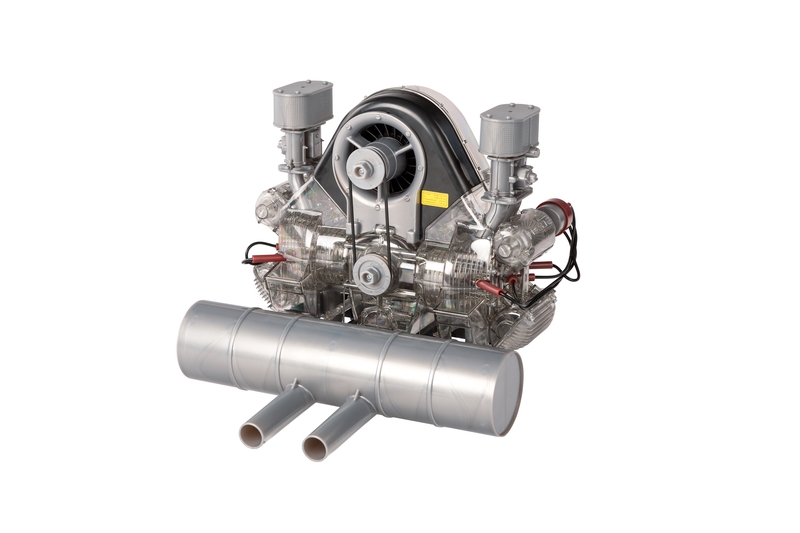 With the screwed and plugged model, the functionality of the legendary Fuhrmann engine becomes tangible – a fascinating technology project for young and old. 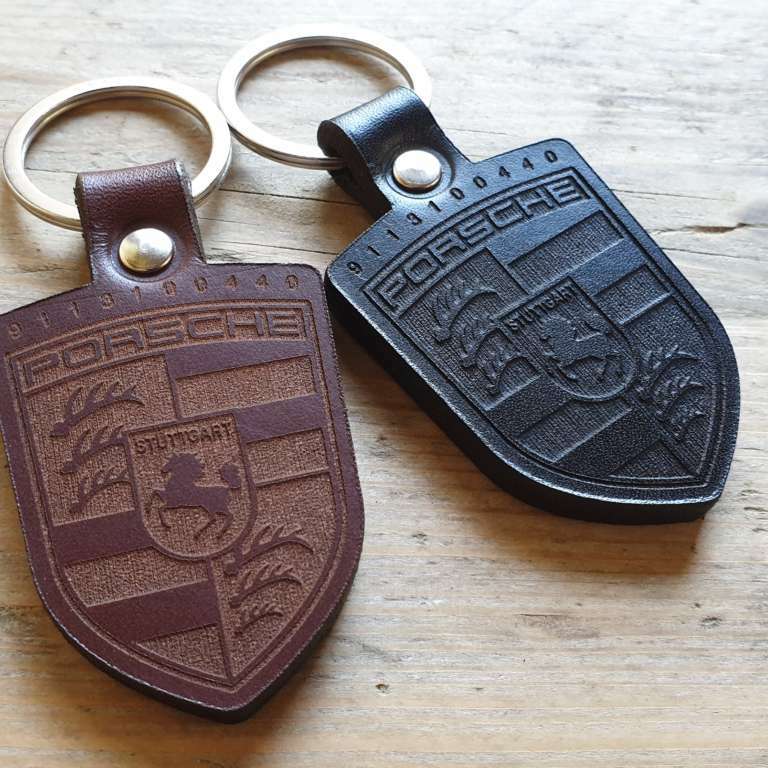 Treat yourself to a piece of Porsche racing history for the home! 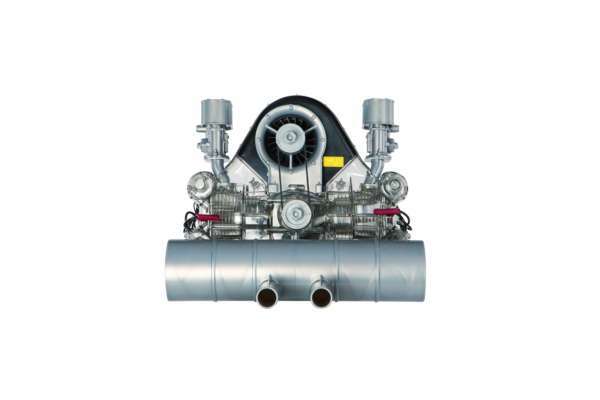 Build the engine first, and then marvel at the richness of detail and the operation of the shafts and valves. Show your family and friends that an engineer is in you and set off! – Made with the consent of Dr. Ing. Ing. H.c. F. Porsche AG. 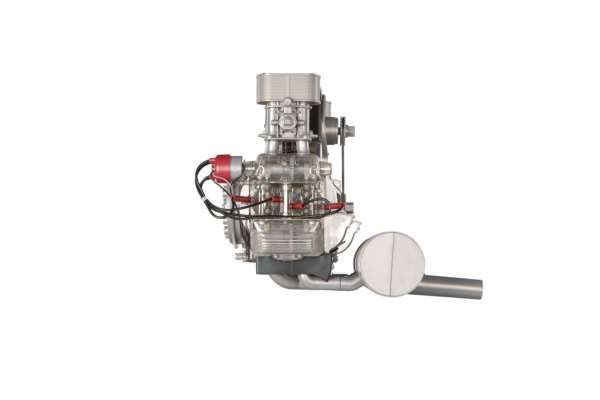 – Engine model designed and developed by John Anson. – Not suitable for children under 14 years! Gift yourself or your loved ones. 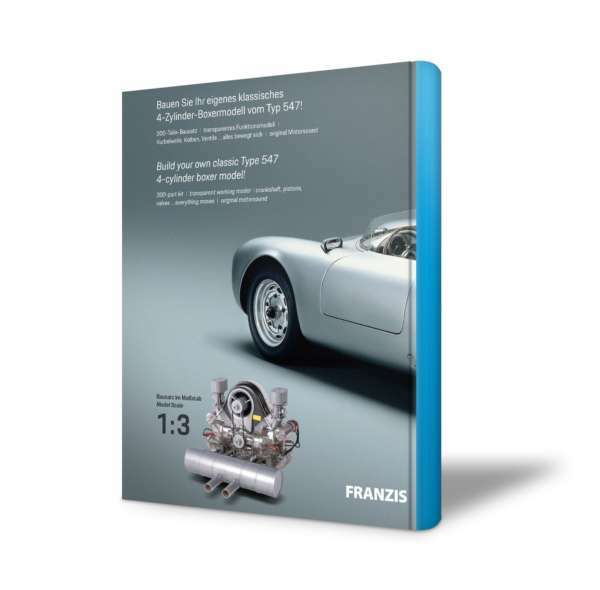 Experience the fascination of engine technology: vertical shafts, pistons, valves … everything moves. And thanks to the transparent construction you can see everything. Car, Porsche and racing fans will be convinced! 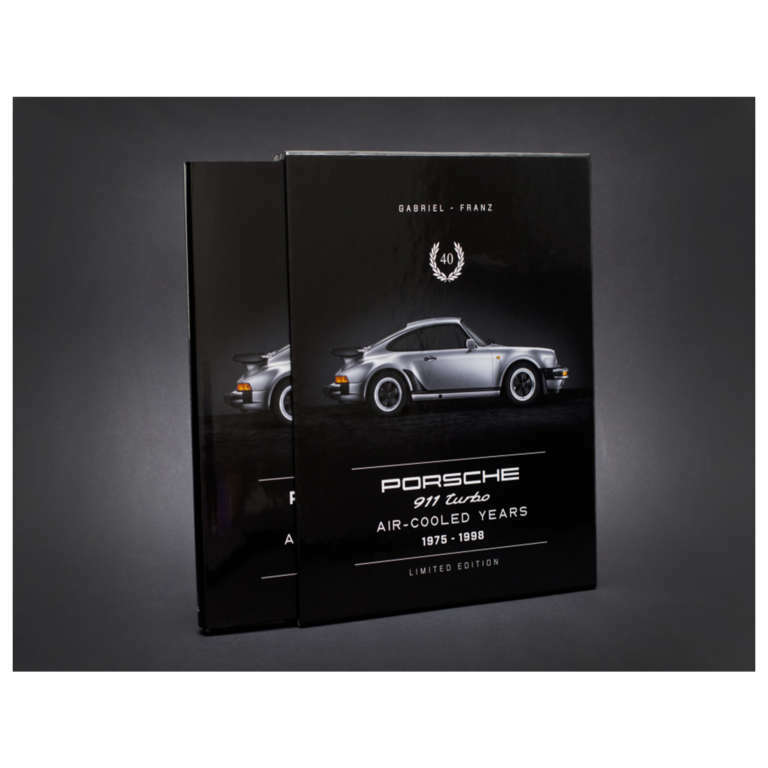 Created in collaboration with the Porsche Museum, the 112-page booklet provides an exciting insight into the genesis and engineering of the original 547 engine. Numerous illustrations and drawings from the Porsche Museum’s archive allow the work of the development team around Ernst Fuhrmann to be resurrected and understand the beginnings of Porsche racing engines. The numerous racing victories with the legendary engine are illuminated in detail and rich in images. 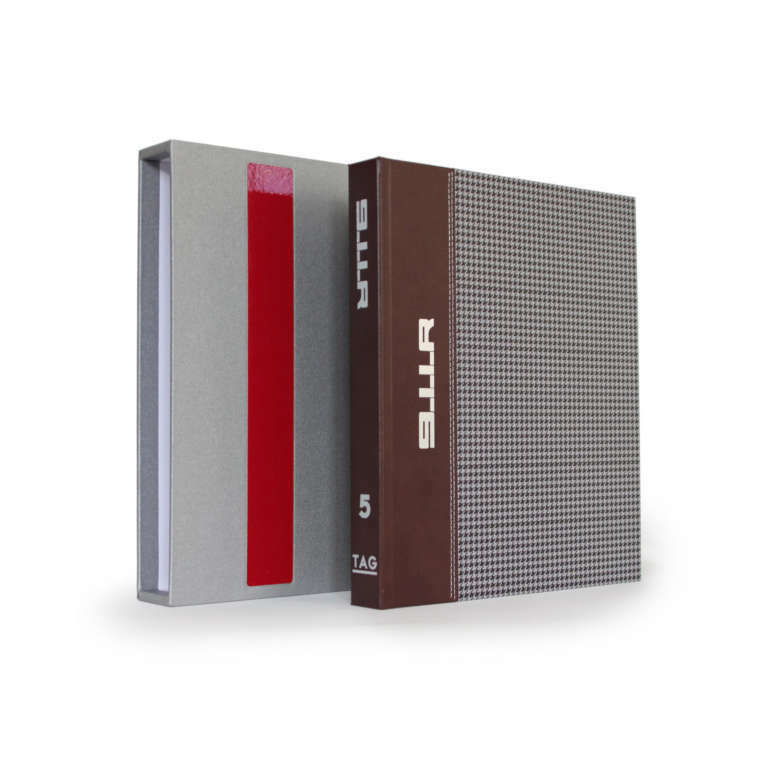 In addition to comprehensive background knowledge, the companion book includes a detailed, illustrated, step-by-step guide that guides you through assembling the model. 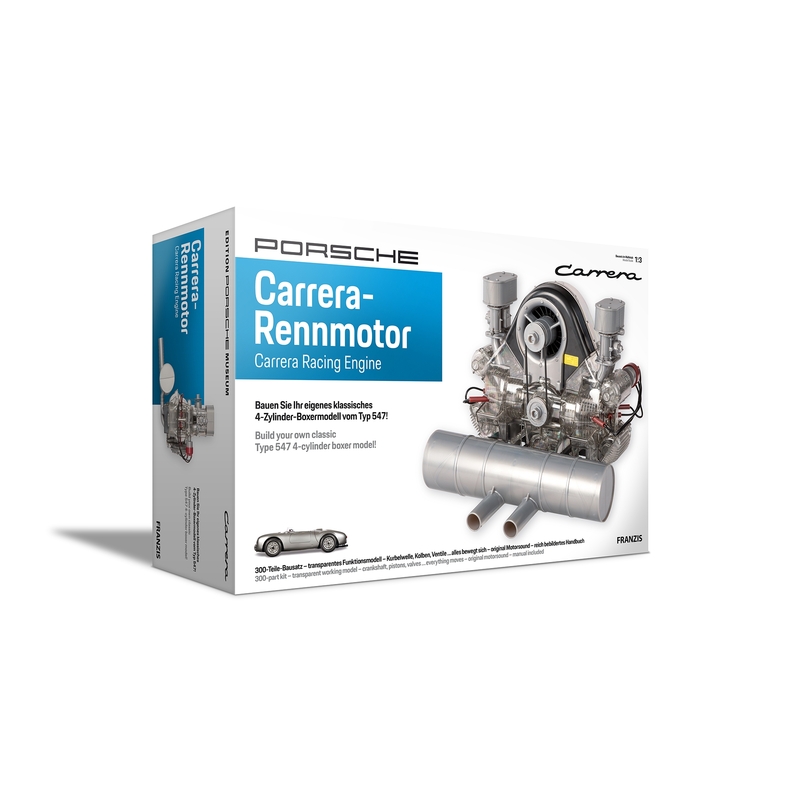 The more than 300 parts you build in about six hours to a functional Carrera engine for your desk together.